At Byler Industrial Tool & Supply, it’s our goal to be a one-stop shop for metalworkers, woodworkers, and people and business owners with industrial needs. In alignment with that goal, we’re proud to announce that we now have a state-of-the-art CNC grinder for carbide inserts, solid carbide spiral bits, and moulder knives. With this new CNC grinder, we’ll be able to produce new tools and sharpen used tools to make them look and perform like they’re brand new. 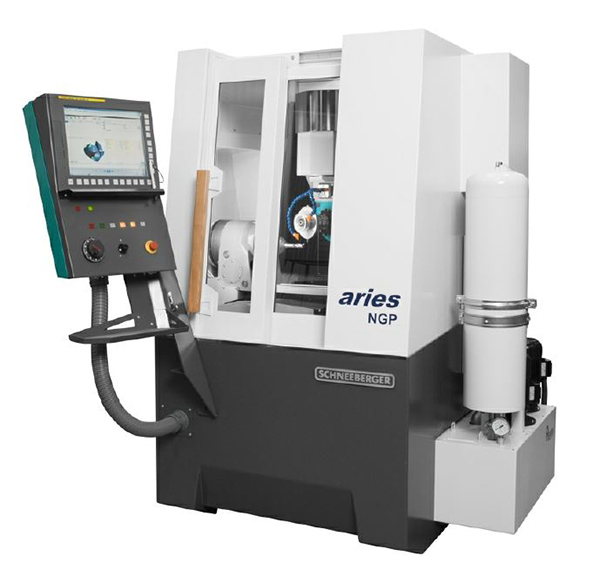 Our new CNC grinder is a Schneeberger Aries NGP. It offers comprehensive 5-axis performance with a generous working envelope, allowing for grinding of both large and long tools that other grinders can’t accommodate. In addition to being big enough for large tools, it’s also ideal for universal re-sharpening tasks and production of small batches. We’ve developed a reputation for producing some of the best results around when it comes to sharpening carbide inserts, solid carbide router bits, and moulder knives, and our new CNC grinder will help us take our performance and customer satisfaction to the next level. Want to Learn More? Call or Contact Us Today. Take advantage of the latest and greatest in CNC grinder technology. Our Schneeberger Aries NGP products results that will improve your business’s accuracy and efficiency, increasing customer satisfaction and your bottom line. Get the results your customers demand. Call us today at (615) 763-6227 or submit an online contact form to get more information about our sharpening services or to schedule a sharpening of your components.